Jeremy Ray Valdez to Star as Young Man with Asperger’s Syndrome in Gashouse Films’ H.O.M.E. : Award-Winning NYC Independent Film Director Daniel Maldonado’s Debut Feature. 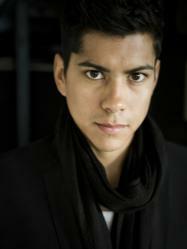 Winner of Best Short Film at the HBO/NY Latino International Film Festival, Daniel Maldonado will begin shooting H.O.M.E., his debut feature film at the end of July 2011. H.O.M.E. features three unique character driven portraits of New Yorkers dealing with the alienation of being lost in an urban labyrinth. Inspired by true events, the first story, entitled “D,F &1” documents the unique journey of Danny (played by Jeremy Ray Valdez), a young man with Asperger’s Syndrome who disappears into the underground maze-like world of the NYC subway system. Actor Jeremy Ray Valdez is the recipient of the 2010 Imagen Award for Best Actor in La Mission (opposite Benjamin Bratt) and can be seen in the official 2011 Sundance Film Festival Selection, All She Can, in theaters later this year. Valdez has also had recurring roles on hit TV shows including ER, Veronica Mars, Drake & Josh and guest starring roles on 24, CSI: NY, JAG, The Shield, CSI: Miami, and Without a Trace. To learn more about H.O.M.E. or to contribute to Gashouse Films’ crowd funding campaign, visit http://www.indiegogo.com/HOME-Part-I. For more information on Asperger’s Syndrome and other Autism Spectrum Disorders (ASD), visit Autism Speaks at http://www.autismspeaks.org . Gashouse Films aims to make engaging films for a global audience, with an emphasis on the Hispanic community. Director Daniel Maldonado focuses on creating quality, entertaining films from the experimental to the narrative, employing the company’s mandate to “make the invisible, visible”.